Oh the joys of British Summer Time. 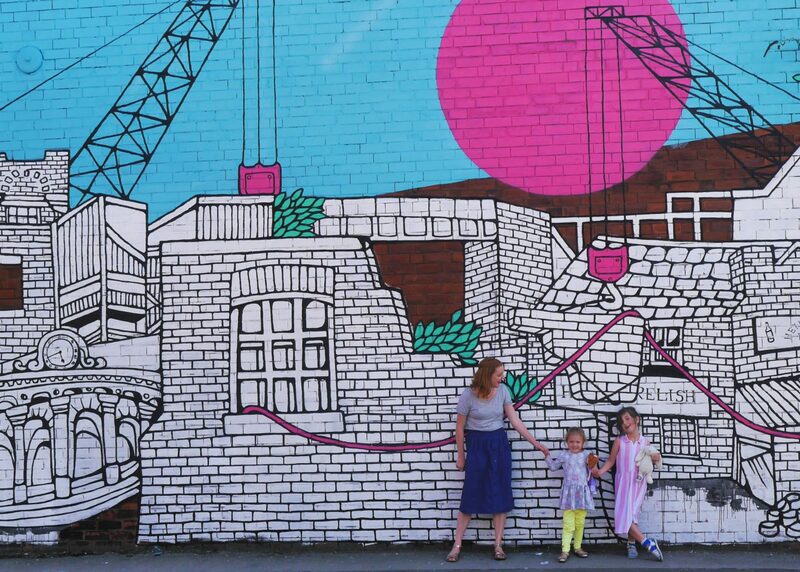 Today is looking tentatively glorious, yesterday was miserable with a side helping of grey and the day before that it rained so hard at such an odd angle that our roof leaked. I’ve not yet seen the weather forecast for tomorrow but it’s probably going to snow, right? Having recently taken the big plunge into the unknown and put my black opaques firmly in the loft, I’m now into the scary realms of the summer wardrobe. Where the potential to be unexpectedly freezing is pretty high. So the idea of knitwear for the summer months was more than enough to warm up my usually cold self. Have you heard of Woolovers? It’s somewhere I was only vaguely aware of but contains a brilliant amount of knitted goodness and lots of cashmere (perfect for warmer months as it’s cool and warm). They challenged me to try out some knitwear for summer. Like most other people on the planet anything vaguely jumpery I wear in winter is always grey or black. So for summer? 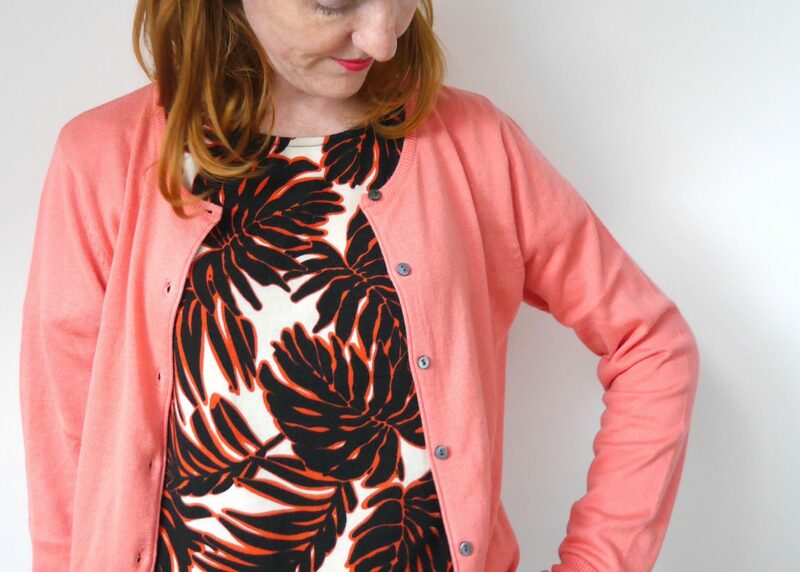 I went way outside my colourful comfort zone and picked a turquoise cashmere jumper and coral cardigan, two colours I would never normally wear (the bright coral especially would be a no-no in my ginger-haired book). As I wear a lot of midi skirts in summer I wanted something that would work well on top for when the clouds roll in. I really love this jumper – it’s super-soft and a perfect size (it’s a medium as I wanted to be oversized and it’s perfect). And the colour! 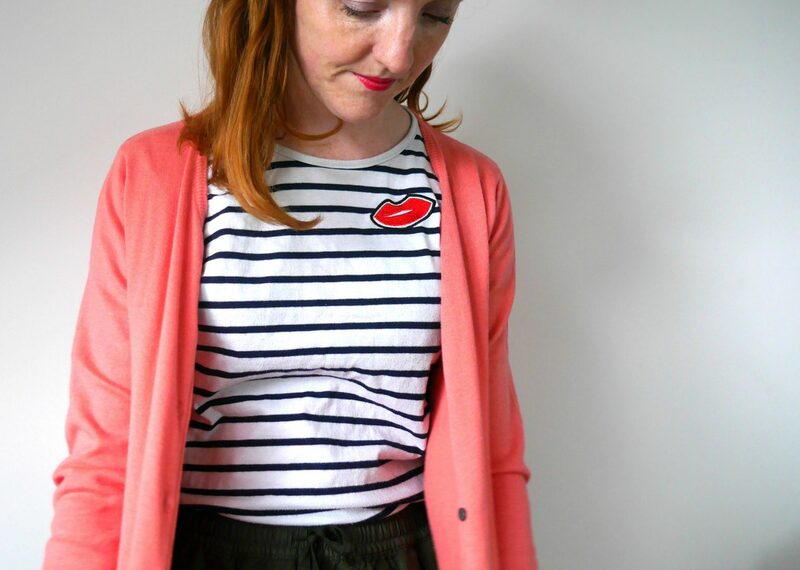 And as a not-so-secret cardigan fan I thought it would, as always, be a useful summer staple to wear over everything from stripes to patterns (I kind of wish I’d sized down as it’s a small but slightly too baggy; extra small is available). 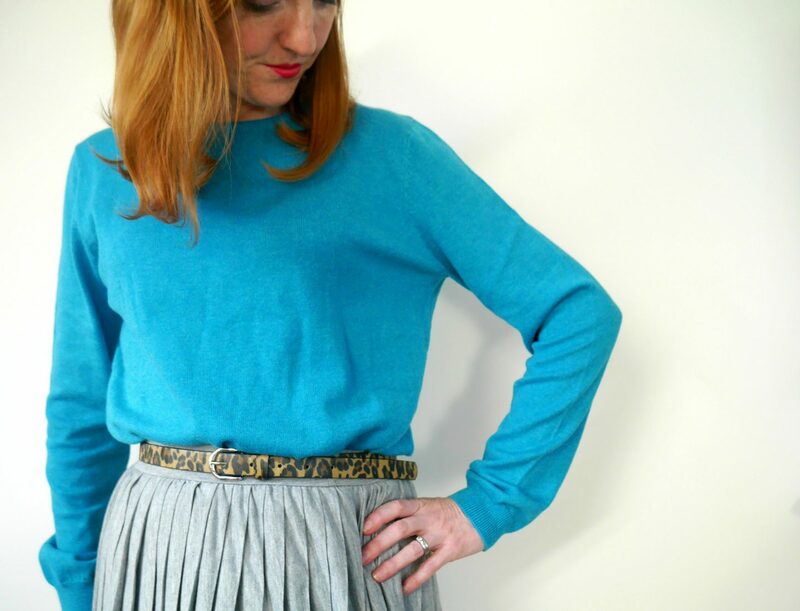 I also went for the khaki linen skirt in the top pictures which is a perfect neutral foil if you want to wear a more colourful top. It’s brilliant because it has pockets, obviously, but I really like this as a cooler summer alternative to denim and I’ve worn it quite a few times already. Also, did I mention the pockets? 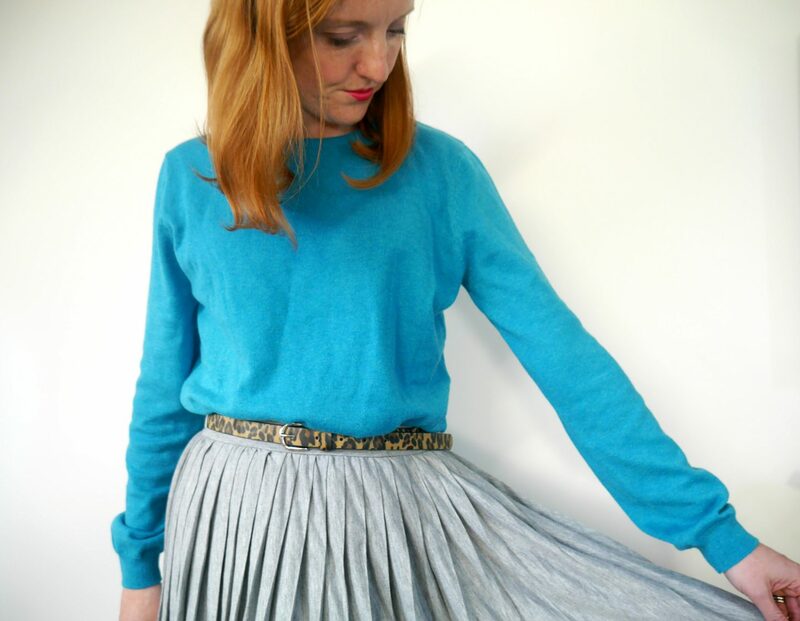 As I said, it’s a site I wasn’t really familiar with, but I was really impressed with the wide variety of colourful and quality cashmere and knits – and like my skirt, there’s some hidden gems in there too. 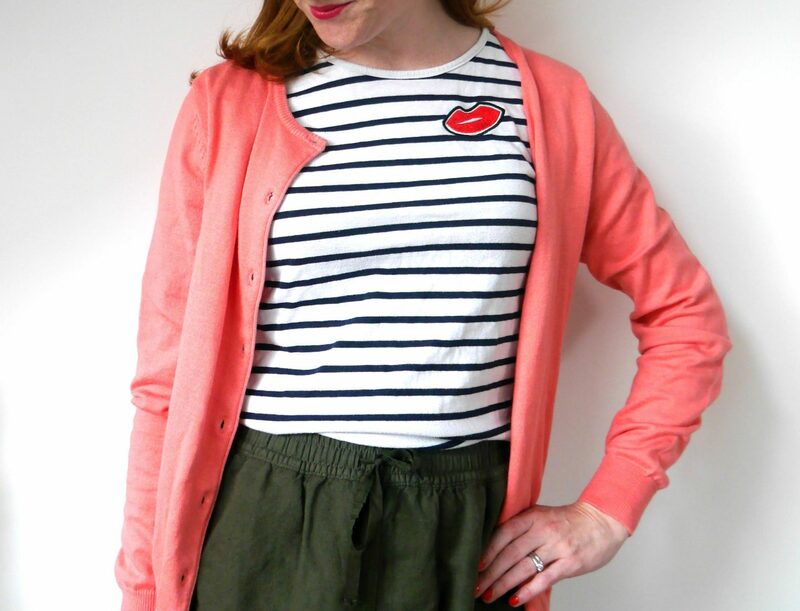 If you’re looking for colourful summer coverups and cheaper cashmere, take a look. I’m chilly minie at the best if times! Today I’m contemplating what to wear…it’s raining…it’s June! Loving those colours!